Today is the day that some of you were probably (maybe?) waiting for. 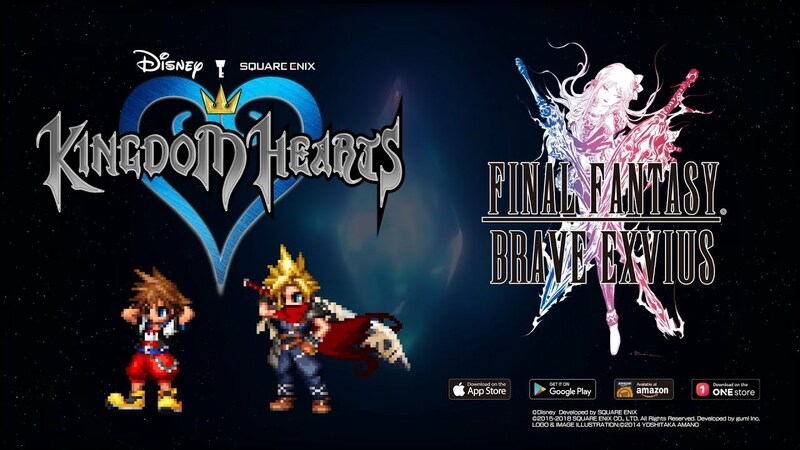 Today marks the start of the limited-time Kingdom Hearts event for Final Fantasy Brave Exvius. From now until January 11, players can now get Sora and Cloud from the first Kingdom Hearts game through a new featured summon. Players seeking a challenge can face formidable foes and earn even more magical prizes during the Guard Armor raid event. In addition, players will have the opportunity to face off in a boss battle against Darkside to earn generous rewards. Square says you can find more information about this event on the Final Fantasy Brave Exvius Facebook page. You can also check out the new trailer showing off the event in the trailer embedded below. Final Fantasy Brave Exvius is a free to download mobile game. You can pick it up through the App Store, Google Play, and the Amazon App Store.